Had an awesome battle this morning! Taiwan Guild, sheesh ya'll were tough! We would kill 1 walker, ya'll would kill 2 walkers. 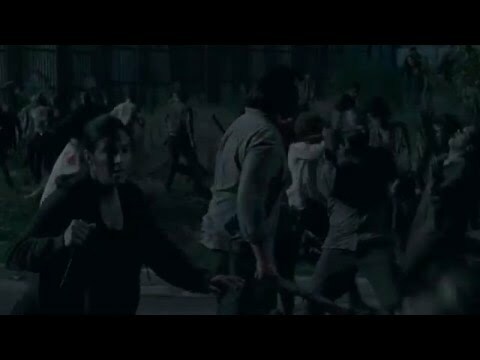 We would kill 2 walkers, ya'll would kill 1 walker. It went back and forth almost every step of the way. When the timer reached 2 minutes, the walker brains were spilling all over the place! Reminded me of the Alexandria scene frm TWD. When the timer was in the red, we had no idea who would win the battle since both sides were still killing. Amazing! When the gun smoke cleared and blood wiped from our eyes, the score revealed just how close it was and how hard both sides fought. I'm not sure if we will ever meet again in battle, but we welcome the rematch! Good fight, even with the bugs/glitches faced during this weeknd's GW. Can it get any more thrilling and down to the last minute?? !